Will MailStore alert me when a job fails? Of the many queries I see as a member of the MailStore support team here at Zen Software, this is one of the more common ones. Unfortunately, for the time being at least, this isn’t something you can do from within the software but fear not – the reason for my post is that there is a workaround. EDIT: Email reporting was introduced in v10.1 – more information here. Before I start showing you the configuration steps, first we need to check the following is happening. 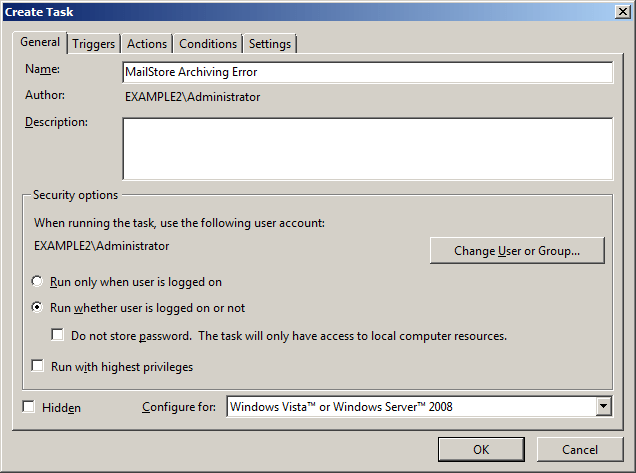 Check 2) MailStore is configured to store events in the Windows event log instead of the file system. Check 3) The email account used to send the email alerts doesn’t containt a ‘$’ sign in it (well, you never know!). Ok, with those out of the way we can move on to configuration. This method of alerting works by monitoring the MailStore audit events that are generated by the software and written to the Windows event log. 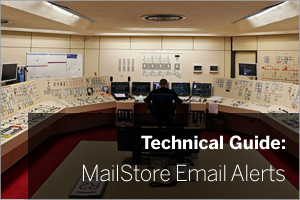 Open the MailStore Client as administrator. Click on Administrative Tools > Compliance > Auditing. Activate the user activity ProfileRunArc. UPDATE: On version 9 and above of MailStore you will also need to check that the Audit logs are being written to the Windows Event log not to a file log. Now, after archiving profiles have been executed, you’ll find the corresponding entries are being made in the event log. Open the Event Viewer of your Windows system. 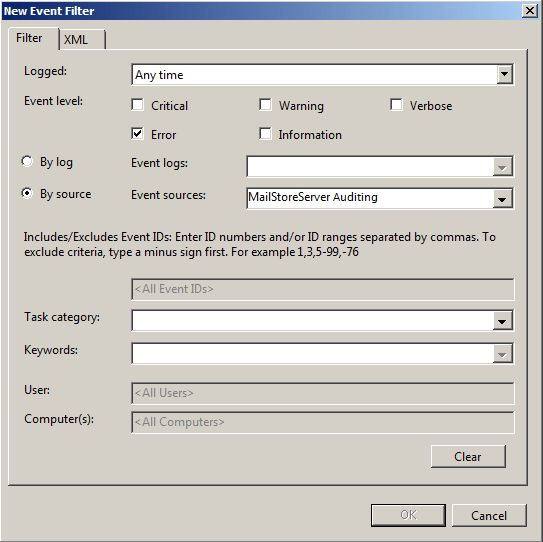 Click on Event Viewer (local) > Windows Protocols > Applications. Search for events of source MailStore Server Auditing. If errors occurred while executing the profile, the event level is Error. If the execution was successful, the level is Information. In the next section we will monitor the log for any errors and trigger an email. In this example we’ll be using the Windows task scheduler to monitor for a specific event and then trigger a process off the back of it. In the ‘Action’ field select ‘Start’ a program. Click ‘ok’ to save the Task. Before we can run the script, the execution of scripts has to be enabled. To do this so open Windows PowerShell and enter the command. When I first set this up I was actually caught out straight away – immediately I was getting an error appearing every day at 7pm. I could immediately rule out it being a random glitch and soon narrowed it down to being something outside of the control of MailStore. As it happened, eventually it twigged that it was our backup software interfering with the job each day. Even though this backup was successful, the act of triggering the MailStore VSS writer must stop the current job running and therefore triggered the alert. As always, I hope that’s something you can use – feel free to get in touch in the normal ways or leave a comment below if you’ve got a question. I am using V9.5 on Server 2008R2. The option for Mailstore Server Auditing does not show in the list – only Mailstore Server, and could not get it to trigger a script. I was able to create an event by canceling a job, then attaching a task to the event. (right click on the event). I had to use event ID 0, so i don’t know if it will always work. But it has worked in the tests.